IACC Member, Barabino & Partners was named number one in Italy and 15th worldwide for deal counts according to Mergermarket 2017 PR Advisors rankings. New York is the city of dreams and opportunities. The Big Apple’s vibrant image has always attracted people from all around the world looking for the opportunity of a lifetime and a new chapter for their business ventures, thus creating experiences unlike any other city in the world. That’s why people from all around the world want to come. Barabino & Partners always understood and cherished the crucial importance of being present in such reality full of opportunities, this is why 2011 witnessed the opening of its New York offices, on Madison Avenue, the heart of Manhattan. 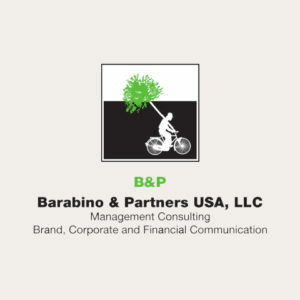 Barabino & Partners USA is the American voice of Barabino & Partners. Since its opening, our New York office provides strategic communication solutions for a wide variety of target markets and customer needs. Understanding the paramount importance of retaining an Italian core while embracing the cultural differences with its host nation. As a matter of fact, thanks to our multicultural approach mixing an Italian and American team, we place ourselves as ideal candidate to assist cross-border communication both for Italian companies interested in expanding their business into the United States, and also American companies interested in communicating operations in Italy. In doing so, Barabino & Partners USA well understands all the cultural, social, and linguistic nuances that a different target country requires in order for a message to be conveyed in the best possible way. Throughout the years, our New York team built substantial experience across the American communication spectrum by taking on challenging communication plans constantly confronted with a fast-paced reality and continuous change in trends and tastes.